Vector AeroMedical by Causey Aviation provides state of the art critical care at jet speeds. Utilizing a fleet of Cessna Citation Jet aircraft, Vector AeroMedical is able to access patients anywhere in the United States, Canada, Latin America, Bermuda and the Caribbean. Patients are flown to specialty medical centers for life saving treatment, or returned home to further recover in the comfort of familiar surroundings, family and friends. Patients are given the care of a highly trained team. Led by North Carolina Emergency Medicine Physician, Dr. Brian Quigley, MD, this team may be made up of critical care trained Paramedics or a combination of critical care Paramedics and Nurses and/or Respiratory Therapists. Patients’ individual medical condition is evaluated by our dispatch triage staff and a team is specifically selected to address needs of each patient. Each medical provider is required to maintain on going continuing education in critical care and emergency medicine. In addition, each provider maintains certifications in Basic Life Support (BLS), Advanced Cardiac Life Support (ACLS) and Pediatric Advanced Life Support (PALS). Many of these providers are also instructors in these disciplines. The medical team has the tools in place to care for the patient as a “Flying ICU”. The aircraft best suited for this mission is the Cessna Citation V jet. This popular Cessna product is a favorite for corporate transport and utility missions alike. This flexible platform allows for a large space for the patient to remain comfortable and in which the medical providers have plenty of room to perform their duties. Additionally, this cabin allows for seating for family members to travel – free of charge – with their loved one when the medical condition allows. This jet flies at speeds of nearly 500mph and flies distances of up to 1,400 nautical miles without refueling. Medical flights are operated by Causey Aviation. Causey Aviation has provided on demand air transportation – including for medical and patient transport – for nearly 50 years in North Carolina. 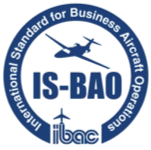 Causey Aviation’s flight and maintenance departments conform to the International Standard for Business Aircraft Operations, a safety standard that is based on the ISO-9000 family of quality assurance standards and confirmed by regular third party audits under the authority of the International Business Aviation Council. Vector AeroMedical is proud to serve Children’s Flight of Hope. Children’s Flight of Hope coordinates and funds travel for children requiring long distance transport for the purposes of specialty medical care or returning home. Vector AeroMedical often donates trips to Children’s Flight of Hope for children who do not qualify for insurance reimbursement of medical transport. Vector AeroMedical works with Children’s Flight of Hope to assist in assigning medical necessity to children requiring medical transport in order to help defray cost for the families . ©2019 Causey Aviation, All Rights Reserved.